Have you heard about the recent release by Smarty Ears? 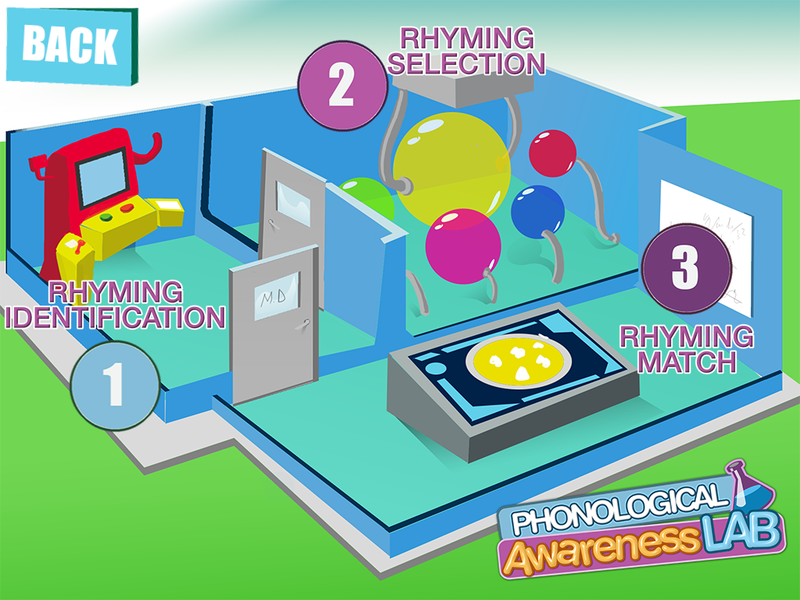 It's an interactive app meant to target phonological awareness and it's called Phonological Awareness Lab ($14.99). 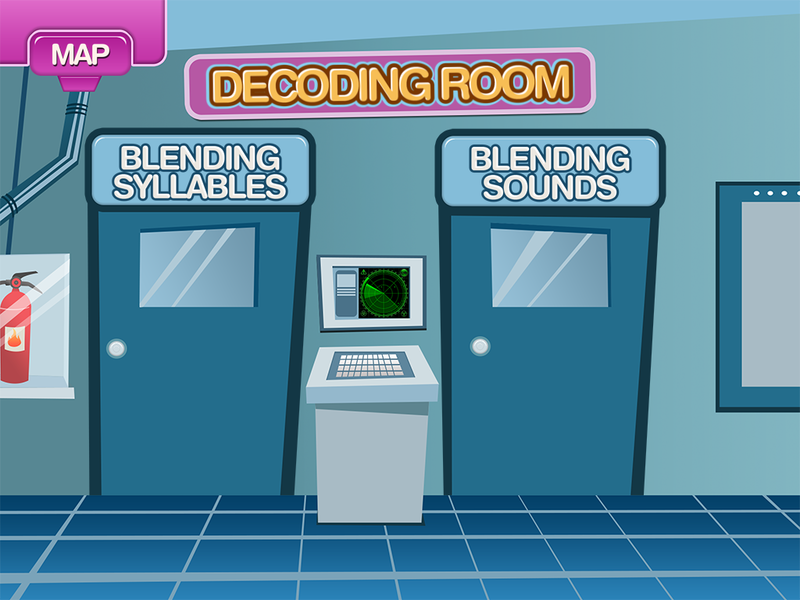 Skills such as syllable blending, sound blending, rhyming identification and matching can all be targeted. This lab requires users to identify the amount of words in an orally presented sentence. Users tap the dropper for each word they hear. The beaker will turn green once the correct amount of words have been identified. 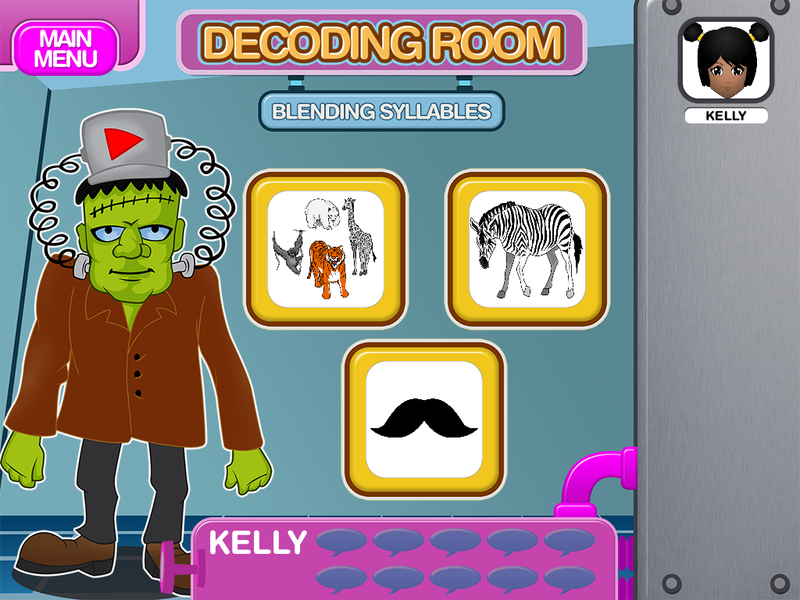 This lab requires users to listen to syllables or words (both an option in this lab) and identify the image that was heard from Frankenstein. This lab offers three (3) tasks. 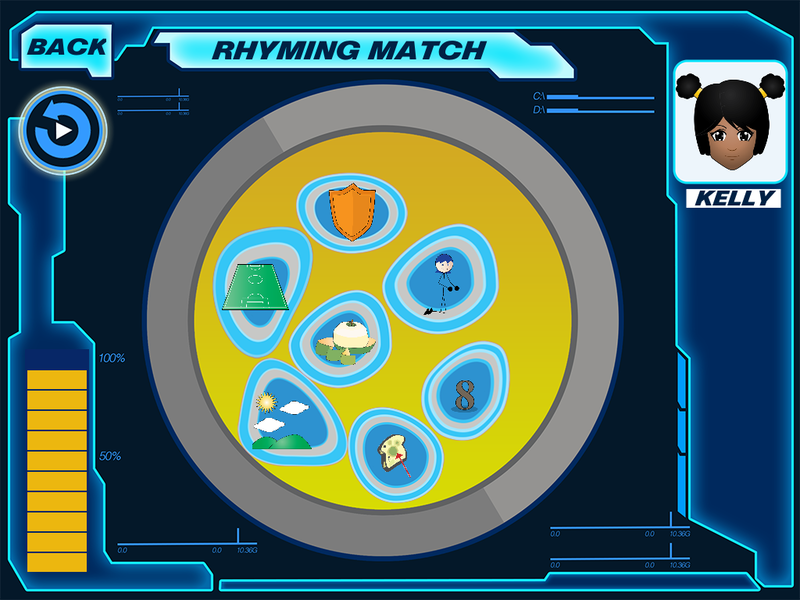 Users can identify, select, and/or match rhymes. 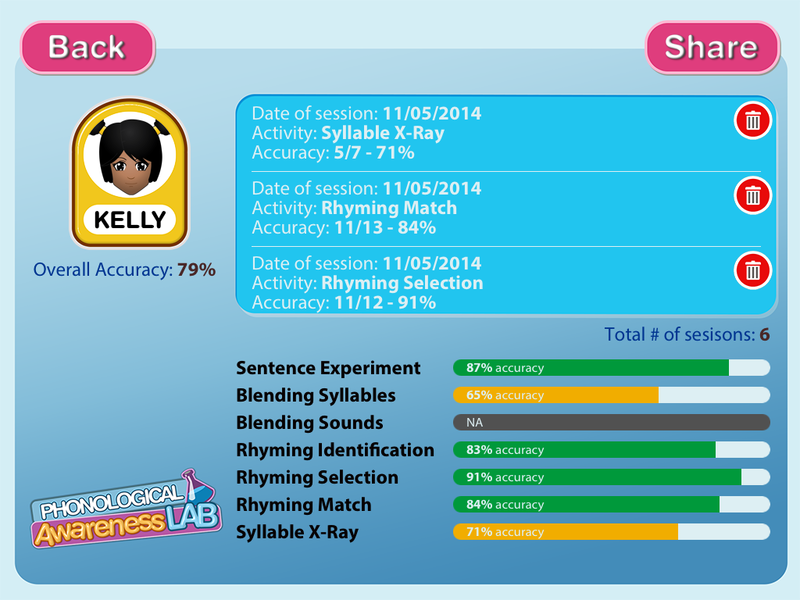 Users listen to words and determine if they rhyme.The words are presented orally and visually. Users select a word that rhymes with the provided target . Once again, all items are presented orally and visually. 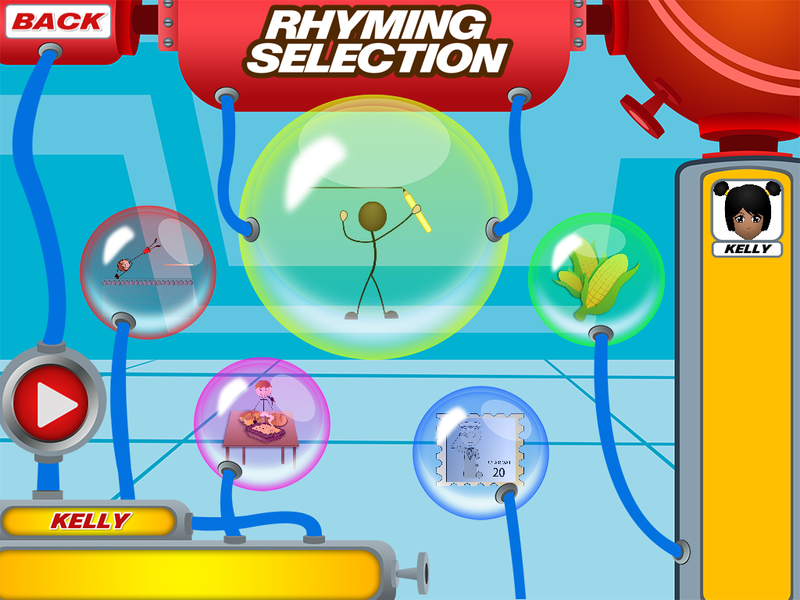 Users select four (4) rhyming words out of a field of seven (7). 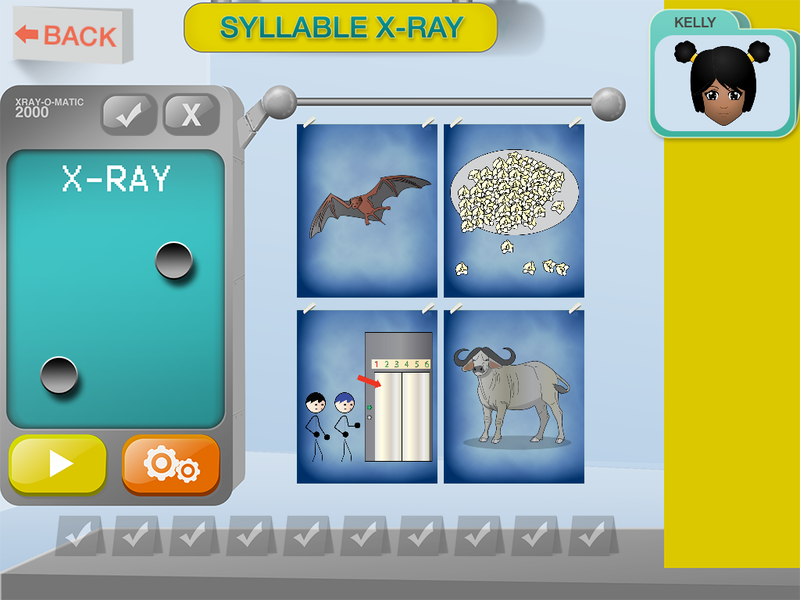 This activity requires users to identify words containing target syllables. For example, the image below requires the user to identify the word that contains two (2) syllables as indicated by the two (2) dots on the left portion of the images. Data can be monitored and user performance can be shared with various parties. Many opportunities to practice each skill. 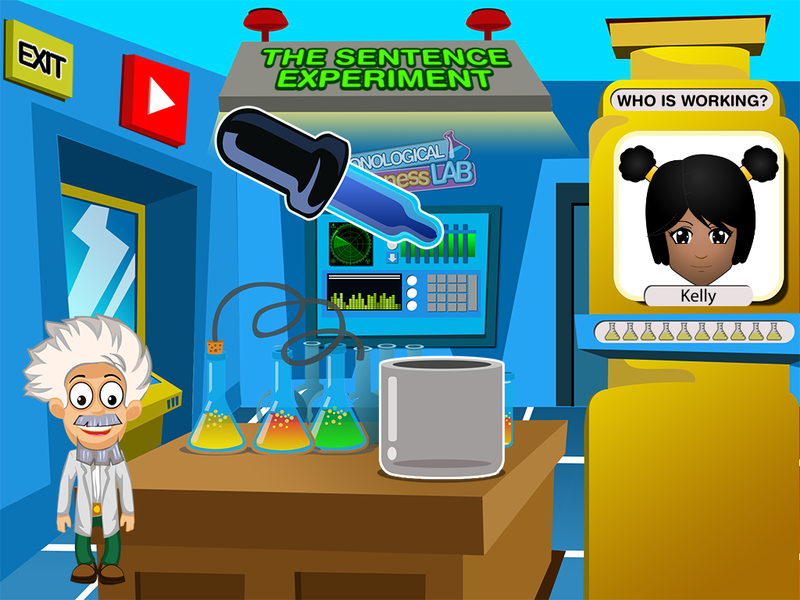 The laboratory theme makes this app appear light, fun and "game-like"
A little less clicking. It would be great if the main menu could be accessed more easily. Improved image quality. Some of the images were difficult to make out due to sizing, pixelation, and abstractness. Phonological Awareness Lab is compatible with iOS 6.0 or later and is compatible with the iPad. Want to try it out for yourself?! Please enter below for a chance to win a free download of this app. The giveaway ends Thursday, November 13th at 12:01 AM. Good luck! I use colorful blocks for sound blending, a train for initial, medial and final sound identification, and clapping/tapping for syllable and sound counting. We use lots of movement to get the engaged with learning. In class lessons I've had students be individual or groups of sounds. They can move around to change words. I don't have any apps, but would love one! Thank you for stopping by to leave a comment :) It is a fun app for sure! !